Posted on 01/11/2017 by Mickey McCarter	in Live Review and tagged 9:30 Club, Dave Wakeling, free tickets, punk, reggae, ska, The English Beat, ticket giveaway. 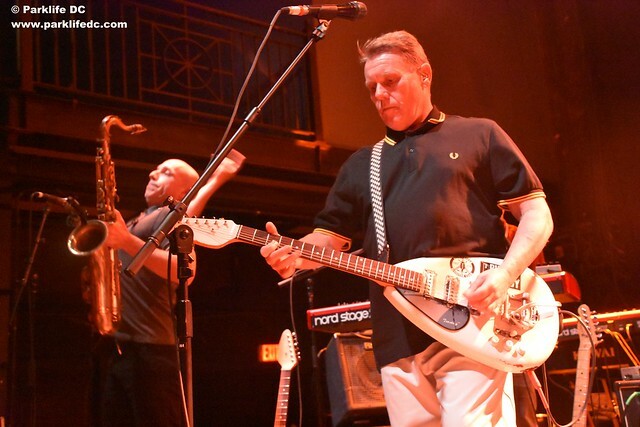 Dave Wakeling and The English Beat have been no strangers to DC, last performing at the 9:30 Club to open for Squeeze last fall. The band next return to the 9:30 Club on Wednesday, March 1, to provide a proper headlining set. Posted on 12/28/2016 by Mickey McCarter	in Live Review and tagged 9:30 Club, punk rock, reggae, rocksteady, ska, The Pietasters. Steve Jackson of The Pietasters keeps the party going at the 9:30 Club on Friday, Dec. 23. 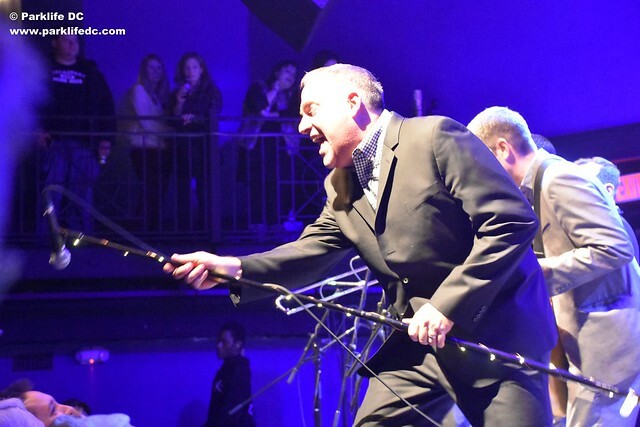 Christmas came early for the rude boys and girls of DC as The Pietasters, our city’s terrific #1 ska band, took to the 9:30 Club for a holiday show that proved a jubilant celebration of the storied band’s catalog. Chief Pietaster Steve Jackson and his motley crew were in fine shape indeed for a stomping singalong of their tunes, along with a few favorite cover songs. The Pietasters shared a full house that wasn’t afraid to mosh with a busy bill that included Loving Paupers, Hub City Stompers, and Mephiskapheles -– with the support bands occasionally leaping into The Pietasters’ set to lend their voices to the chorus. Posted on 11/30/2016 by Mickey McCarter	in Live Review and tagged 9:30 Club, Christmas, punk rock, rocksteady, ska, soul, Stephen Jackson, The Pietasters, ticket giveaway. It’s officially safe to talk about Christmas after Thanksgiving, right? No matter — it’s always a good idea to talk about The Pietasters. 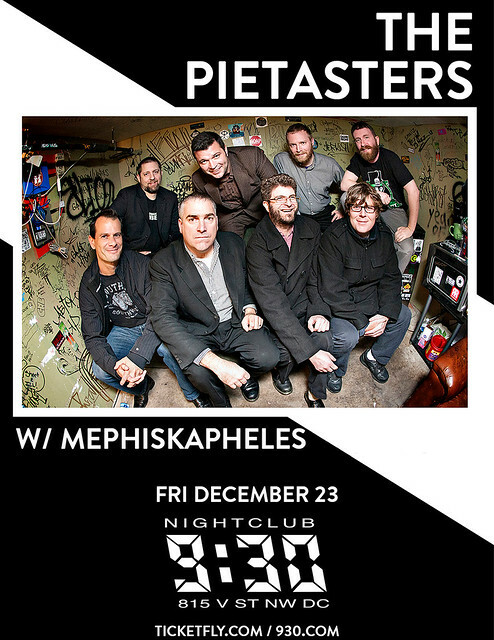 And The Pietasters have an upcoming Christmas show at the 9:30 Club on Friday, Dec. 23. You’ll want to be there to skank the night away with the (currently) nine-man band under their founder Stephen Jackson, who started The Pietasters back in 1990! Although The Pietasters released their last studio album, All Day, back in 2007 on their own Indication Records, they are still a strong touring act, very much ready to blow you away with their personal blend of ska, rocksteady, soul, and punk rock. Parklife DC is giving away a pair of tickets to see The Pietasters in their Christmas show at the 9:30 Club. To win these tickets, leave a comment on this blog. You can leave any comment, but we would like to hear your favorite song by The Pietasters. If you don’t win, tickets are available online. Posted on 11/03/2016 by Mickey McCarter	in Live Review and tagged Burn It Up, funk, Get Amped Tour, North 11, progressive rock, reggae, Rochester, ska, We Were Sharks. Ska rock band Burn It Up mix it up with hard rock refrains and ska melodies. These six high energy guys from Rochester, NY, have released a new album, Toys, in October. Now they have joined the Get Amped Tour, which is visiting Villain & Saint in Bethesda, Md., on Friday, Nov. 11. In addition to Joe, the band includes Mike Frederick (guitar), Justin Lloyd (trumpet), Dan Carter (bass), Evan Dobbins (trombone), and Alex Bochetto (drums). 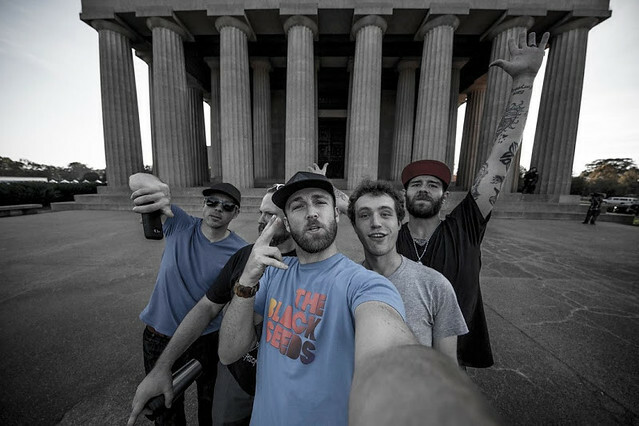 Burn It Up was formed by members of Mrs. Skannotto, which released three full-length albums and toured with names like Less Than Jake, Mad Caddies, Reel Big Fish, The Toasters, Flatfoot 56, and A Wilhelm Scream. They are sure to be entertaining at Villain & Saint, where they are joined on the Get Amped Tour by We Were Sharks and North 11. Posted on 10/17/2016 by Mickey McCarter	in Live Review and tagged 9:30 Club, Dave Wakeling, King Schascha, punk rock, reggae, ska, Squeeze, The English Beat. The number, of course, was used by the presidential campaigns of both Bill Clinton and Barack Obama, but Dave wasn’t overtly political in his appearance at the 9:30 Club on Tuesday, Oct. 11. He and The English Beat got down to performing the 1994 version of “I’ll Take You There,” recorded by Dave’s former band General Public, with vigor. 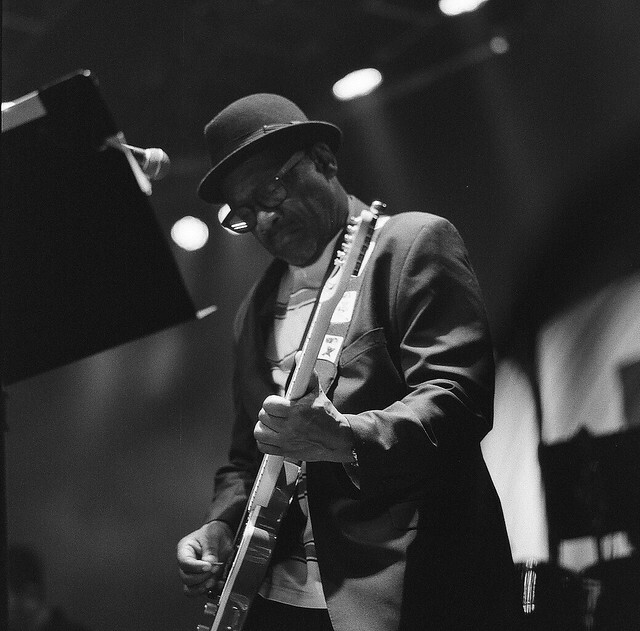 Posted on 10/10/2016 by Mickey McCarter	in Live Review and tagged Ben Eisendrath, Coventry, England, Lynval Golding, rude boy, ska, Terry Hall, The Fillmore Silver Spring, The Specials. The sprawling ska band The Specials visited the Fillmore Silver Spring last month, and our friend Ben Eisendrath was there! Ben sent over a few cool snaps he took during the show, which was a hit among all of the rude boys and girls who went on Saturday, Sept. 10. 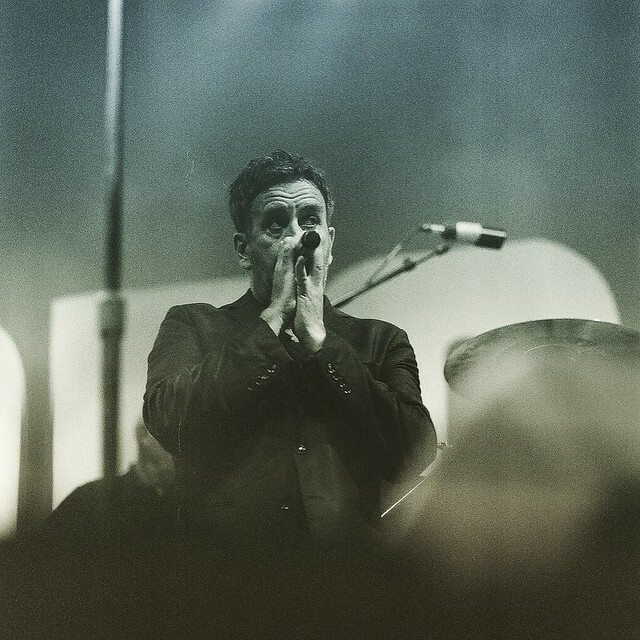 According to Setlist.fm, The Specials played several of their high-profile hits that night, including “Ghost Town,” “Friday Night, Saturday Morning,” and “Stereotype,” which are enduring dance staples that serve as reason enough to keep The Specials coming back around in their various iterations! The Specials wrapped up their latest US tour in Las Vegas on Sept. 30, and they are about to embark on a UK tour starting Oct. 19. Quite a few of their UK dates are sold out through October and November, but catch them if you can! Posted on 08/22/2016 by Mickey McCarter	in Live Review and tagged 2 tone, 9:30 Club, England, punk, ska, Squeeze, The English Beat. Well, the English Beat recently sold out a show at the 9:30 Club, but I’m going to take a moment any way to remind you of why. The English Beat is on the cusp of releasing its first new album in more than 30 years with its upcoming full length Here We Go Love later this year. 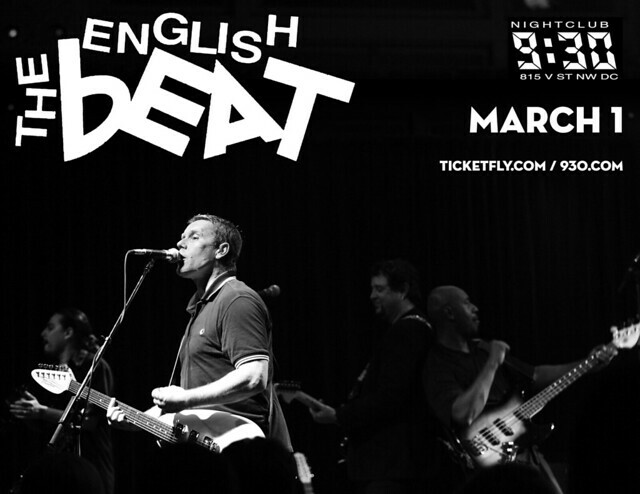 We at Parklife DC last saw the English Beat at the 9:30 Club on Nov. 25, 2015, and we were mighty impressed! 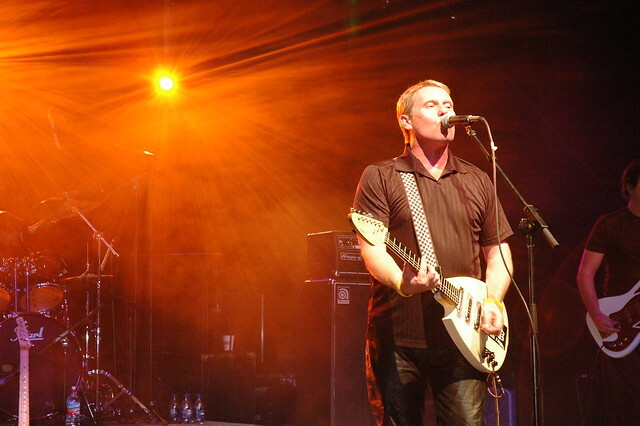 If you’re coming to see Squeeze at the 9:30 Club, get there early for the English Beat! There are no tickets available, as the show has sold out. Keep your eyes open for resales (at fair prices) or maybe a last-minute release of any extra tickets the 9:30 Club may be holding back? Oh, wait, if you cannot wait to see the English Beat, you can catch them at the Bottle & Cork in Dewey Beach, Delaware, on Sunday, August 28. That’s this weekend! What better way to celebrate the waning days of summer than to hit the beach with Dave and company? Tickets for that show are indeed available online (and at the door).